Michael Egnor endorses my new website on Aquinas and Intelligent Design. Click here. The Five Arguments Stand - A response to the critique of my book "Aquinas and Evolution". Michael Chaberek O. P., S. Th. 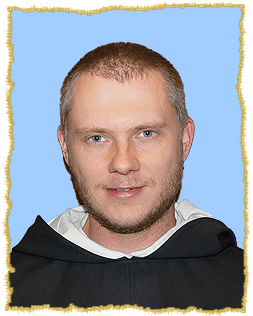 D.
I am a Dominican Friar and a native of Gdansk, Poland. I joined the Dominican Order in 2000. In 2007, I was ordained in Krakow. I have worked as a student minister, a religion teacher for junior high and high school, a preacher and a chaplain. I arrived in the USA in 2012 shortly after completing my doctorate at Cardinal Stefan Wyszynski’s University in Warsaw. My specialization is Fundamental Theology. In 2012-2013 I accomplished a postdoctoral internship at the Discovery Institute in Seattle. Then, I moved to Southern California to serve as a chaplain at Thomas Aquinas College and pastor’s associate at St. Dominic’s Parish in Los Angeles. Currently I serve at St. Dominic’s Parish in Warsaw. My academic focus includes: the science-faith dialogue, theology of creation, theory of intelligent design, philosophy of Thomas Aquinas, theology of the body and the history of theology, especially since the 19th century.